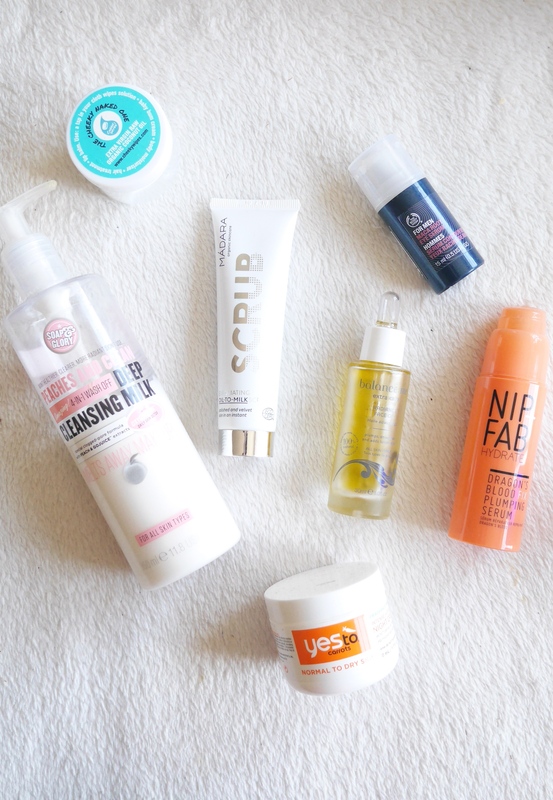 As someone who blogs about skin care a lot – and also witters on about it in general day to day life I thought it would be interesting to actually document what products I use on a daily basis in my working week, because I know I don’t double cleanse every night or do a full skin care routine in the morning during the Monday to Friday grind. 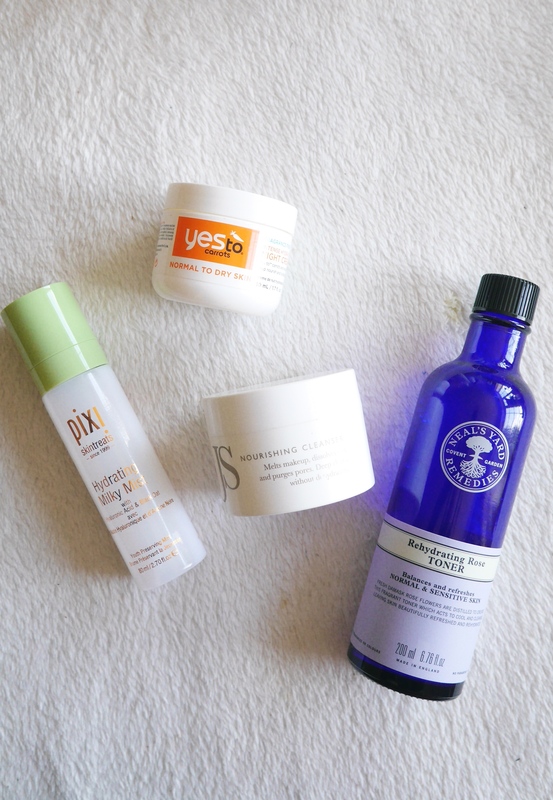 So here is my week in skin care. I won’t lie a 5:45am wake up normally means that a morning skin care routine is straight out the window so when I got home I knew that I need to do a full routine to make up for my lack of lotions and potions that morning. 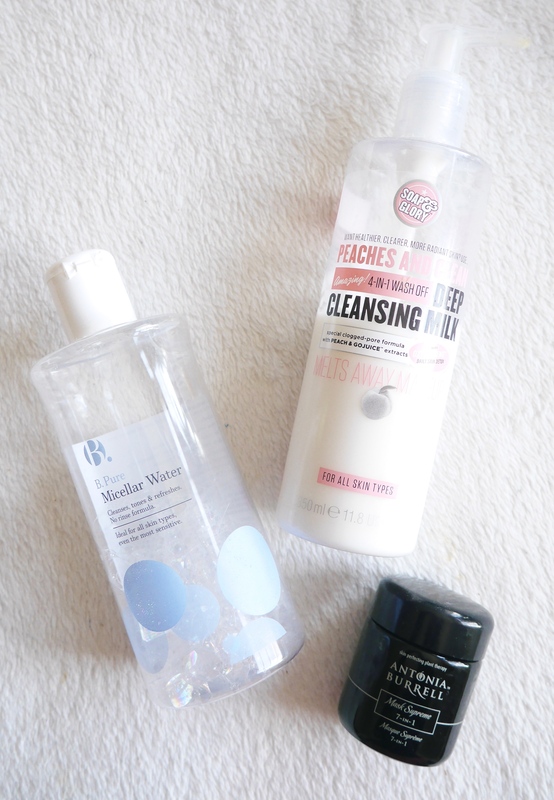 I hadn’t worn any make that day so no double cleanse needed, I went straight in with my Soap&Glory Peaches and Clean Cleanser which we all know is my number one favourite before trying something new for exfoliating. I had run out of a chemical exfoliation pads by Nip & Fab so went old school with a scrub. The Madara Exfoliating Oil-to-Milk Scrub is an oil-based scrub that transforms into a delicate milk to gently cleanse, it’s not overly harsh on the skin and didn’t leave my skin feeling raw. Next up I used the last pump of the Nip + Fab Dragons Blood Plumping Serum as my first layer of moisture as well as The Body Shop Maca Root Eye Serum. 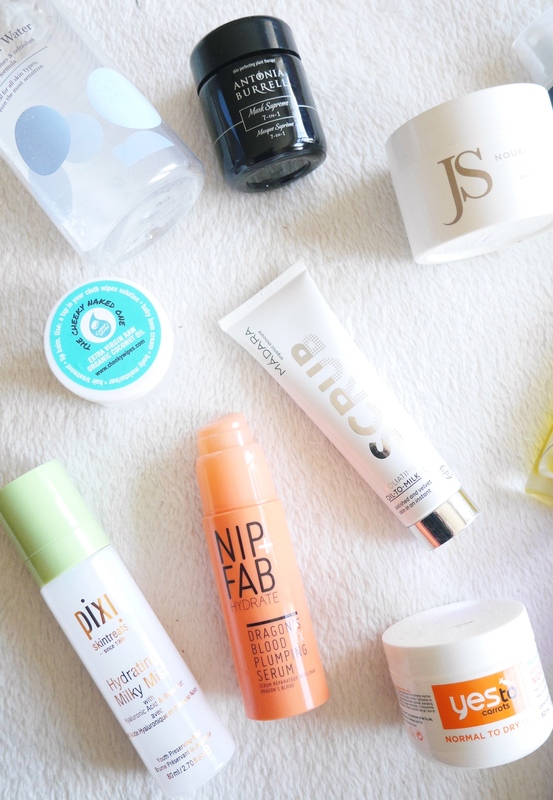 I never really know if eye creams actually work because I always moisturise that area anyway but when I have one in my skin care routine there isn’t any point in wasting it! 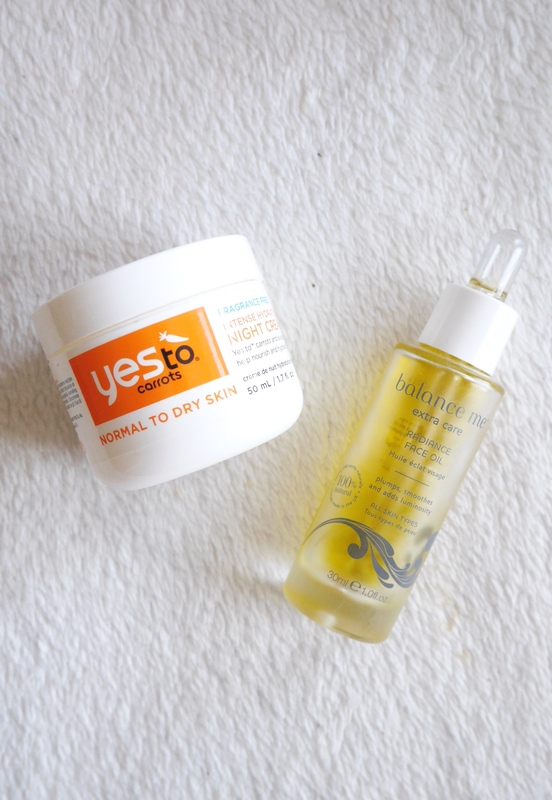 As always my number one duo finished up the routine YesTo Carrots Night Cream and Balance Me Radiant Facial Oil, seeing as the weather is so awful I chucked some coconut oil onto my lips for good measure. 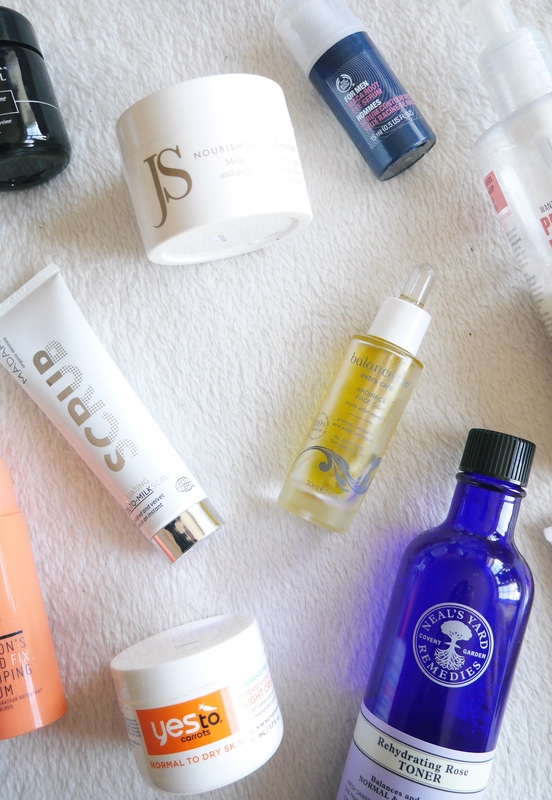 Okay so morning skincare clearly does not exist when I’m exhausted. Tuesday evening I managed to bleary eyed remove the small amount of make up I had on with the Jane Scrivner Nourishing Cleanser, it melts even waterproof make up with ease and doesn’t leave a residue on the skin. I then had two new products to trial out. The Neal’s Yard Rehydrating Rose Toner, I’m not 100% on this toner yet as I think it’s a little too gentle but I’ll keep you updated. 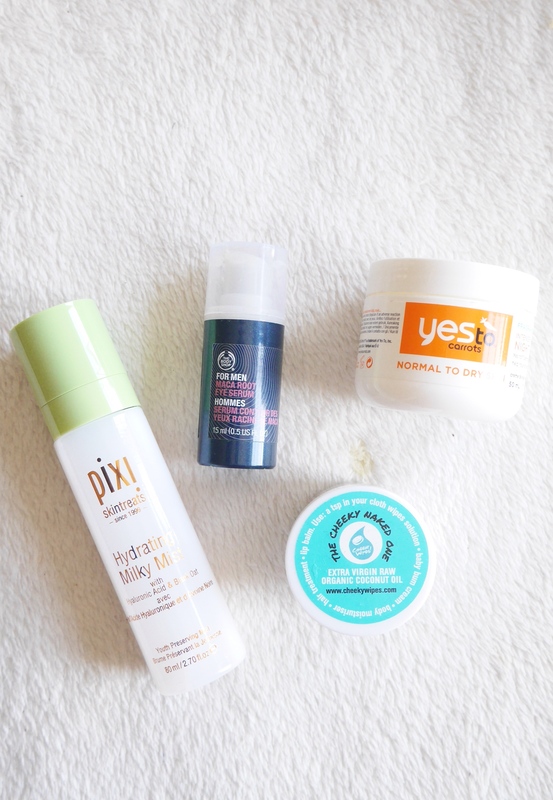 The Pixi Hydrating Milky Mist is amazing! This featherlight mist provides an instant surge of hydration with hyaluronic acid to plump skin. Followed by YesTo Carrots Night Cream. Wednesday was a little more simple and a late night meant I only just managed to moisturise and oil my naked face. Thursday I had a slightly later start so I was able to actually cleanse my face with my trusty Soap&Glory cleanser before spritzing the Hydrating Milk Mist and dot some eye cream under my eyes. 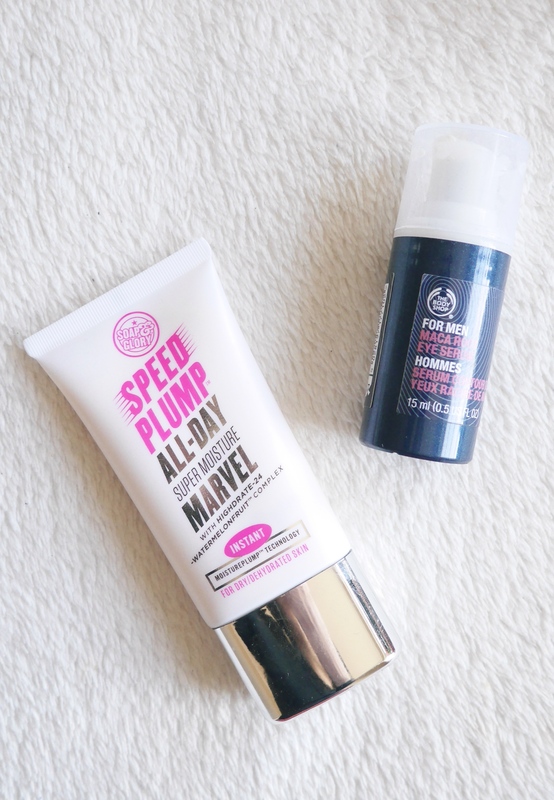 Then the main event Soap & Glory Speed Plump. 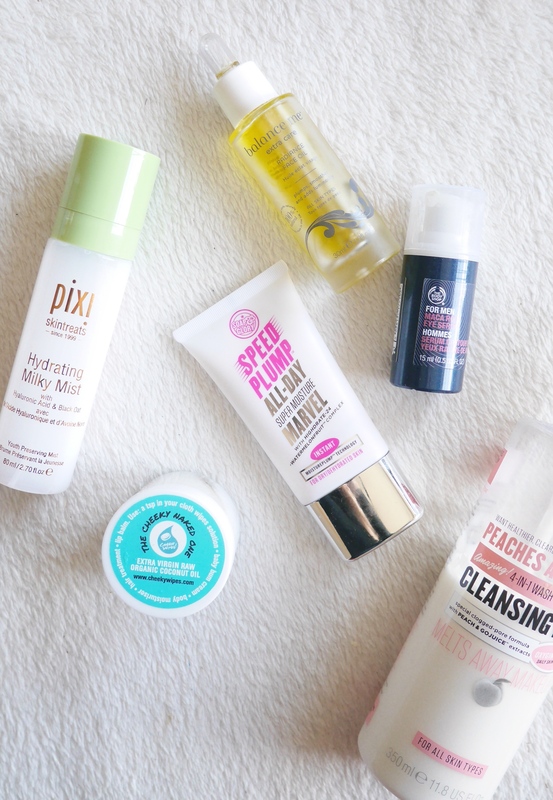 It does just what it says on the tin, a simple moisturiser which gives instant hydration. In the evening I took off the small amount of mascara with the B.Pure Micellar Water before cleansing the days grime off and then finally doing a facemask. Normally I like to mask about 2 – 3 times a week but this was a really busy week so I only managed 1 and obviously I chose the Antonia Burrell Mask Supreme as an overnight treatment to say sorry to my skin for neglecting it a little. Friday morning I just about had time to wash off my overnight mask and apply my day moisturiser and day cream, it was another no make-up day but this cold weather has been playing havoc with my skin so definitely needed the moisturiser. 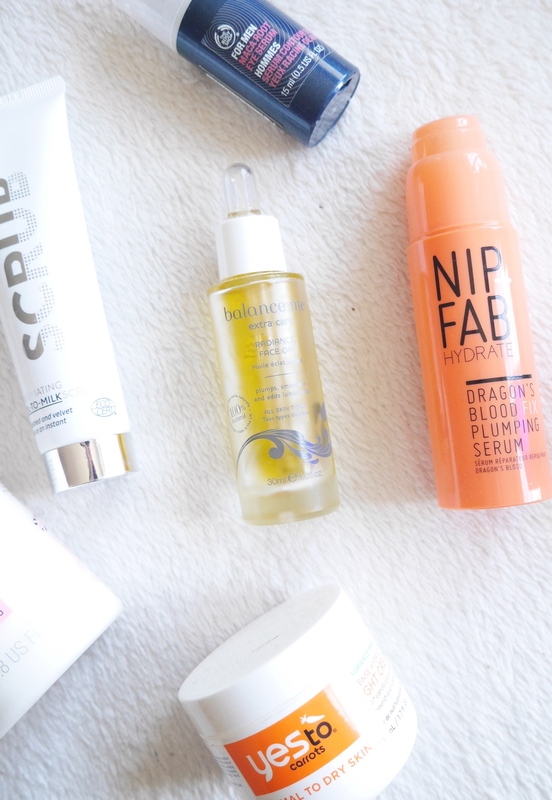 A late night meant I just about remembered to spritz and moisturise in the evening, for some reason I was really going for it with the eye cream, I think mainly to try and get rid of the bags that were slowly forming throughout the week. 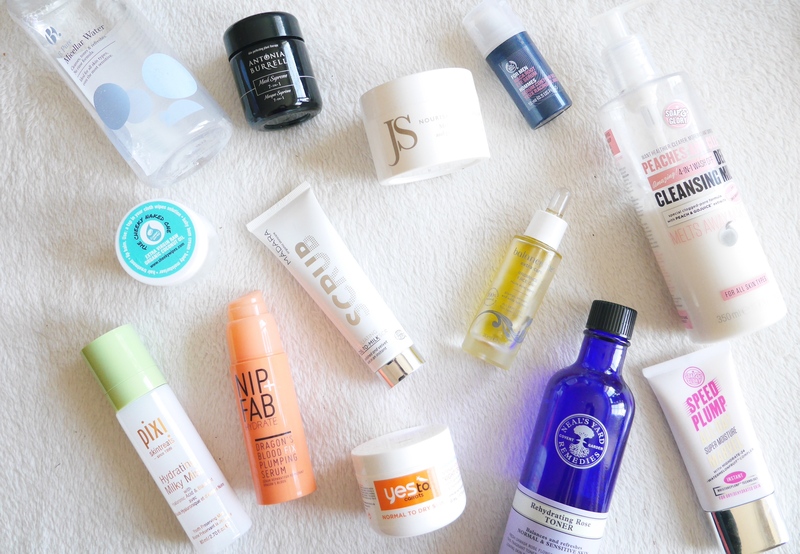 So there you have my actual skin care routine, looking at this I really need to step up my morning routine during the working week. This was a really busy week, hence the lack of masks etc. but I was surprised out how little I actually manage to do my full routine. How often do you do your full routine? I love YESto products! They always make you feel so clean.